Istanbul, formerly known as Constantinople, is a very unique place to visit, not only because of its unusual location in both Asia and Europe, but also the amount of history and culture accumulated in one place. This Turkish city is definitely magical and easily accessible from anywhere in the world by Turkish Airlines. Here’s an ultimate guide to attractions in Istanbul. A cruise on the Bosphorus cannot be missed when visiting Istanbul. It’s a great way to get a glimpse of the city before you start exploring its attractions. The cruise usually lasts up to 2 hours. Ever read the fairy tale about Rapunzel? 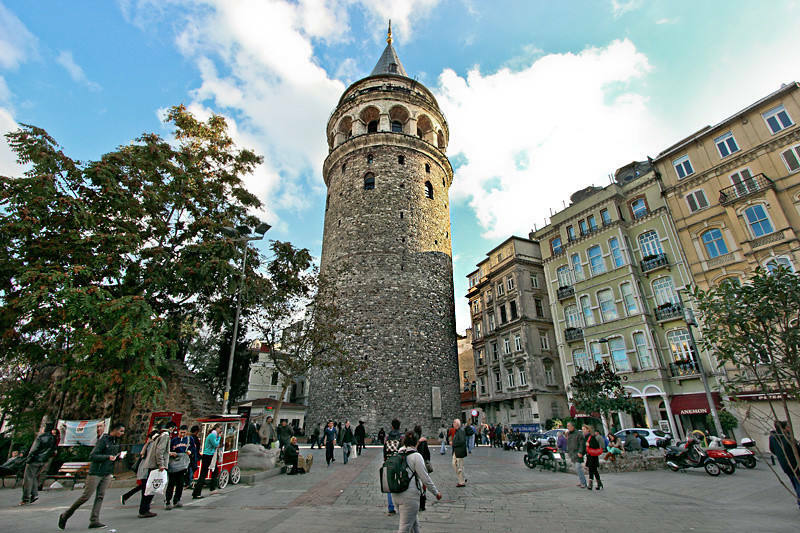 The Galata Tower looks exactly like her home. The view from the top of this 14th-century construction is amazing and definitely worth checking out when you’re in town. The area of Taksim square where the tower is located is also a great spot for nightlife. Istanbul is home to over 2900 mosques, but the most important is the Hagia Sophia, which actually used to be a church before. You should always be respectful when entering a mosque, some provide a veil to cover your legs in case you’re wearing shorts and covers for your shoes in case you don’t want to take them off. 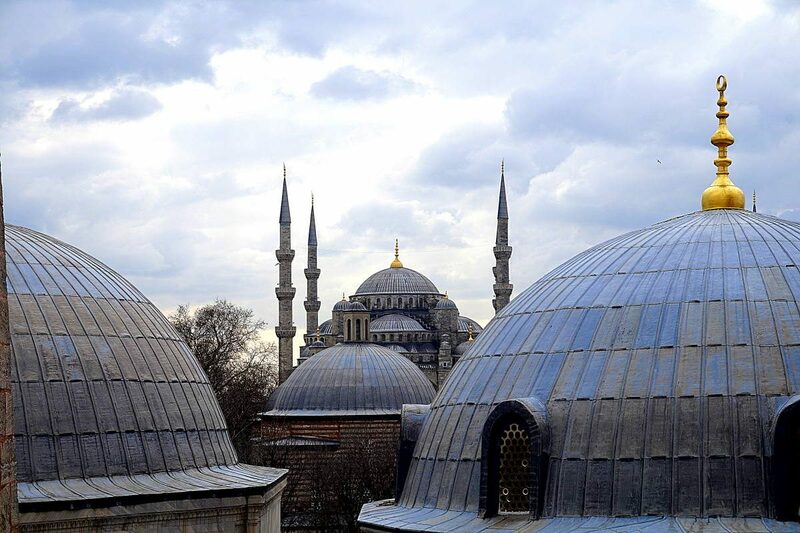 The Blue Mosque can be recognized by its 6 minarets and as the name indicates blue decorations. It’s a very interesting place to visit as it’s a working mosque. Remember to dress modestly. Topkapi is the largest royal residence in Istanbul serving the Ottoman sultans for over 400 years. Don’t miss the harem apartments where sultan’s wives and concubines lived along with their children and other family members. There are also many exhibitions of the Muslim world, including the swords used by Muhammad’s blessed companions. 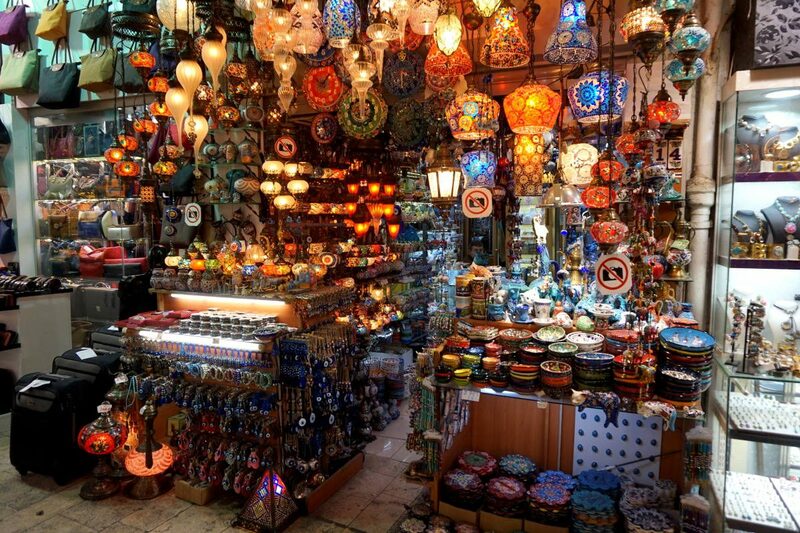 Grand Bazaar is a place for dedicated shopaholics with over 3 thousand shops. If you’re looking for a fancy new lamp that’s the place to get it as they cost as little as $20. Just remember not to take any photos of them unless you want to be chased by local vendors. If you’re looking for a smaller souvenir why don’t you get a Hand of Fatima necklace or the iconic Turkish eye of evil? 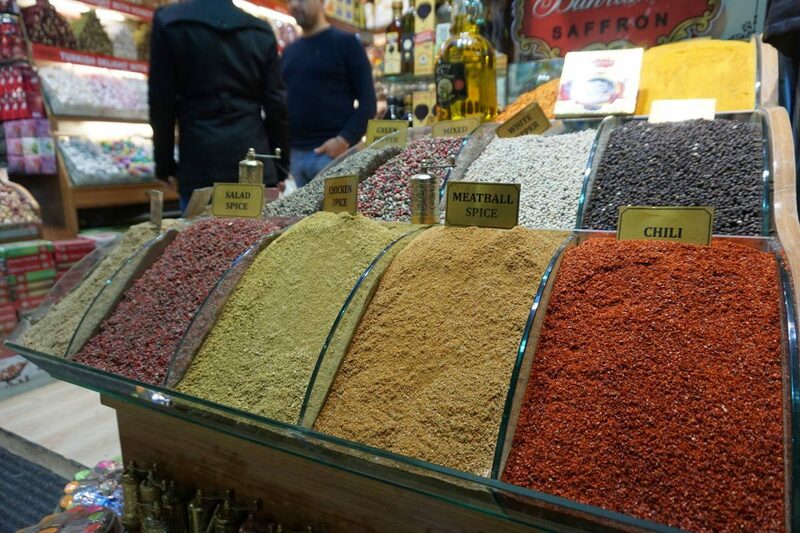 You should definitely bring back home some spices from Istanbul and what’s the best place to get them than the second largest covered market in the city? Pick some spices, nuts, dried fruits or Turkish tea. I’m a big fan of Kempinski hotels after my visit to Budapest, and the Istanbul one didn’t disappoint me either. The place looks like an actual palace and I think it’s a great spot for an afternoon tea at the balcony overlooking the Bosphorus. 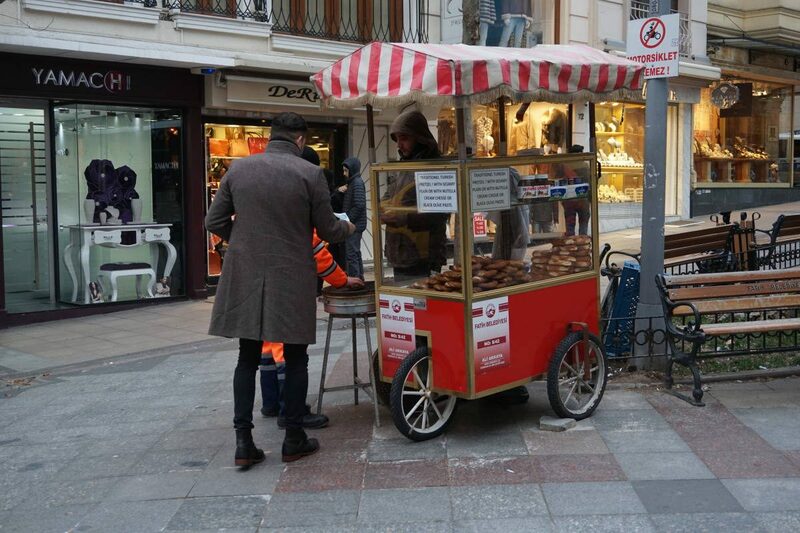 Baked chestnuts are usually horrendously expensive everywhere, but in Istanbul you can get yourself a big bag of them for just $2. Look for a red stand with a grill and there you go! The Basilica Cistern is the largest of the ancient underground water cisterns found across Istanbul. Most of the columns in the cistern appear to have been recycled from the ruins of other buildings, and among them, you’ll find two carvings of Medusa’s head used as column bases, as well as a column with tear-shaped engravings believed to have the power to make your wishes come true. The place can actually be very romantic in my opinion. 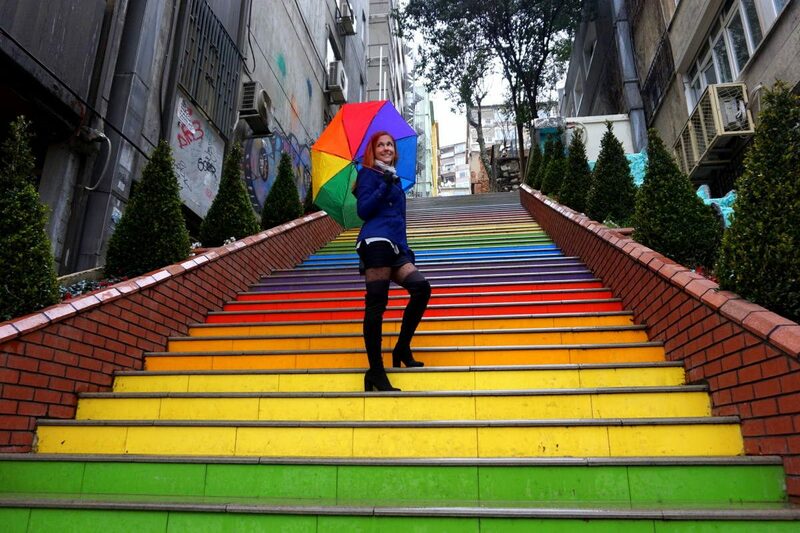 The colorful staircase is a little less known place in Istanbul, but a must-do activity. A local resident painted the stairs to brighten the area but two days later the council painted over them in boring grey! There was such an outcry that they were redone! There are now quite a few stairways in the area that have been painted and it’s a picturesque location for photos. Google ‘Cafe Nove’ as it’s located right next to it. 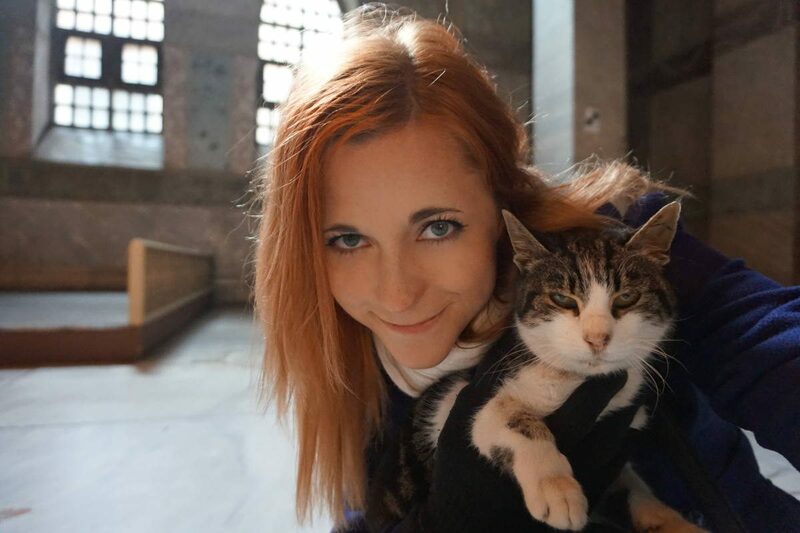 Istanbul loves its stray cats and I think it’s one of the best destinations for cat lovers. Cats are walking freely everywhere and the city even installed street feeders that give a bowl of cat food when a human put a bottle to recycle inside. Hamams are a must-visit places when in Turkey as they are local spas. You can get a massage or a body scrub or even dip your whole body in a mud. Probably the most famous one is Ayasofia. Sheesha, also known as narguila, hookah, or whatever you want to call it, should definitely be smoked in Istanbul. There are many lounges where you can smoke it accompanied by some Turkish tea. Watching the sunset from one of Istanbul’s many rooftop bars is a must! Every major hotel has a rooftop bar, so simply try a few out to find your favorite spot. Unfortunately, Istanbul has the worst traffic I’ve ever seen. When I arrived it took me 2,5h to get from the airport to my hotel, so be prepared for it. 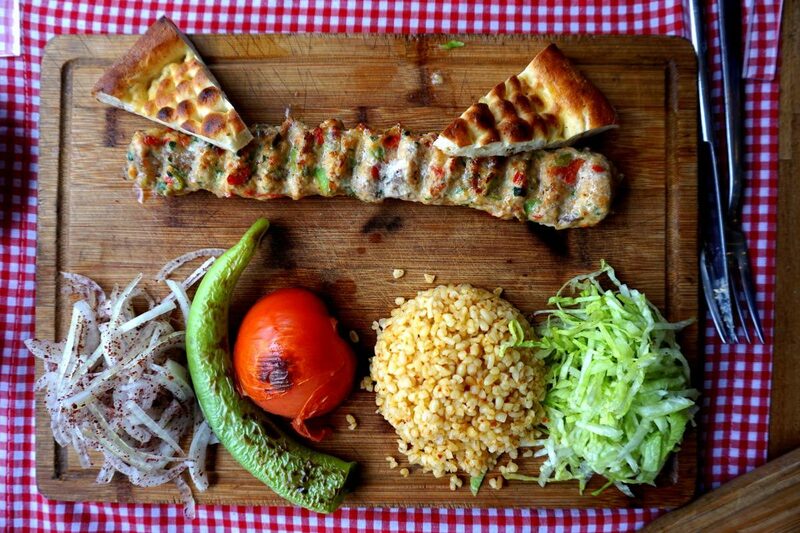 What to Eat & Drink in Istanbul? You cannot not notice stands with pomegranate juice when in Istanbul. Turks sell it almost on every corner for a good reason – it’s delicious. I’m very glad my friend introduced me to kumpirs. 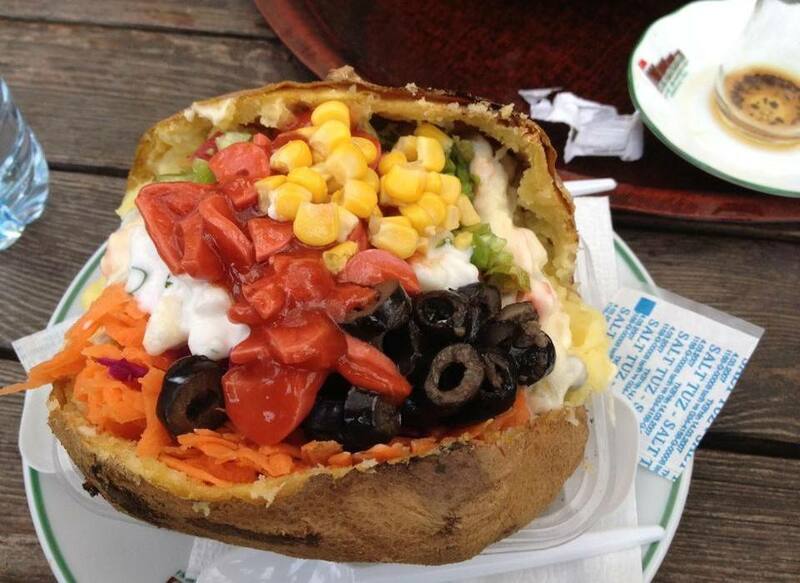 A kumpir is basically a big baked buttered potato served with a bunch of toppings including cheese, sour cream and meat or veggies if you prefer. P.S. You can eat the skin! Börek is a traditional Turkish pastry made of layered dough. It can be stuffed with feta cheese, potatoes or minced meat. It’s very yummy! I’m not a big fan of ayran, but I think everyone should try a cup before leaving Turkey. It’s a cold yogurt beverage with water and salt. 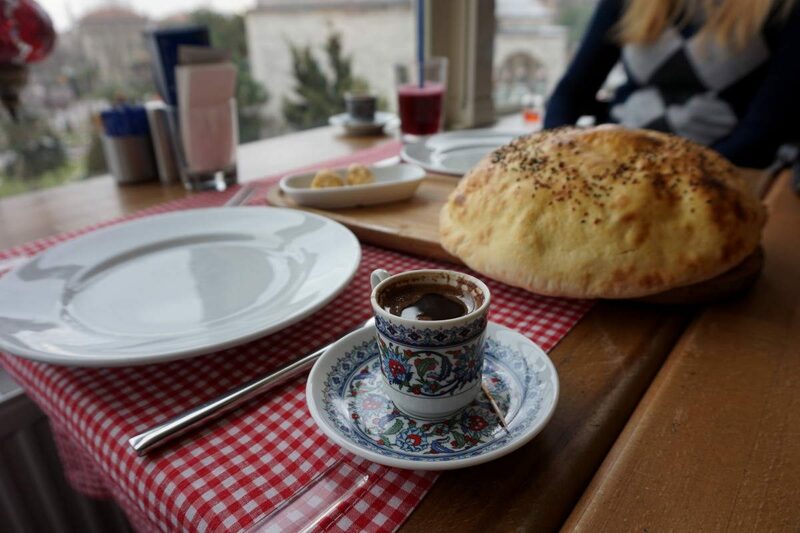 It’s a nice alternative to a cup of Turkish coffee! Tavuk Göğsü is the dish known of being prepared by boiling chicken breast in water and then shredding the meat into small fibrous pieces. The meat is then boiled again, this time with milk, sugar, vanilla, cornstarch and rice flour. The end result is a sweet pudding which you can top off with a sprinkling of cinnamon… and the chicken skin. Turkish ice cream are a sticky thing that might not remind you of an ice cream back home, but it’s an interesting thing to eat. Fun fact: it also doesn’t melt that easily. Not a desert, but still a bunch of great Turkish food! 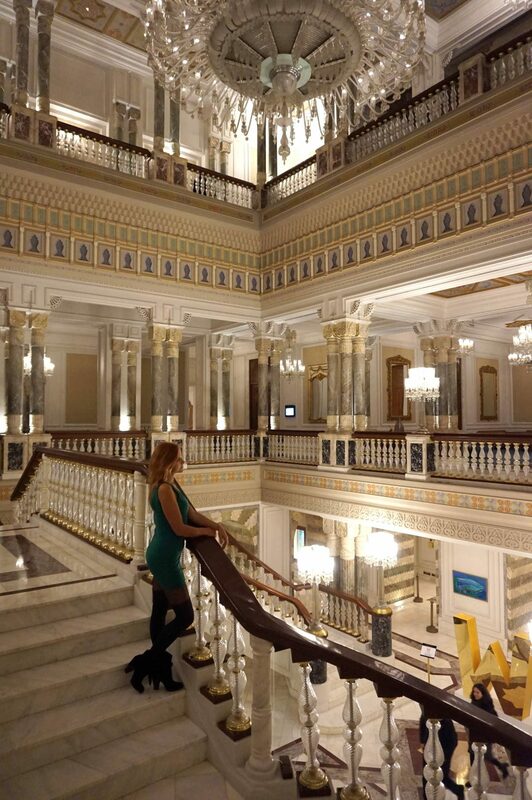 Kempinsky Palace – Beautiful luxury hotel overlooking the Bosphorus. W Hotel – Newly renovated design hotel in a vibrant neighborhood. 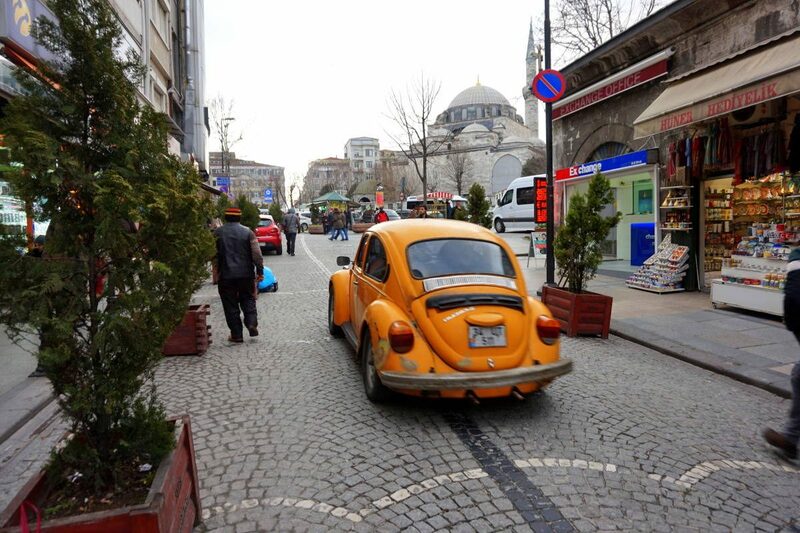 Eski Konak – Affordable hotel in a great location. Great guide – I love Turkey but I have only ever been to the coast. I’d love to visit Istanbul – the mosques look pretty and Turkish food is so tasty. 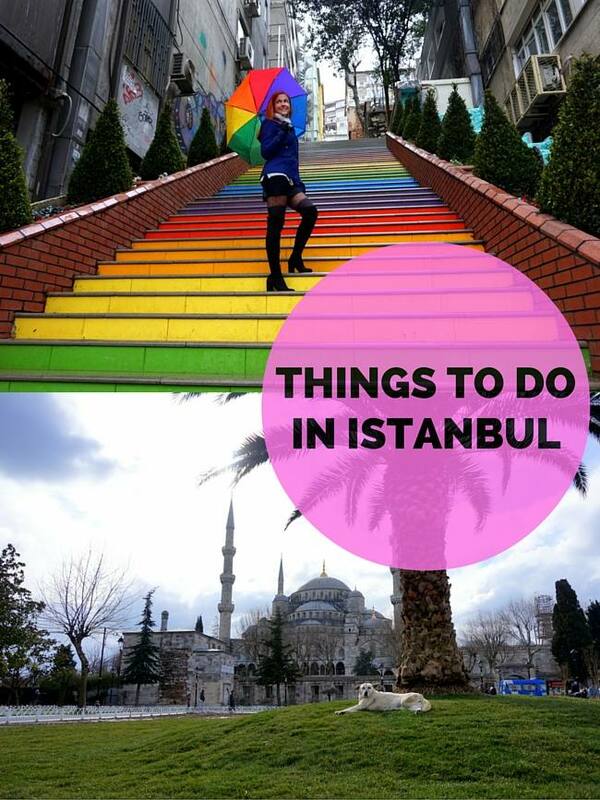 I love the city as there is so much to do in Istanbul! I absolutely love Istanbul! Planning to return there soon and want to visit the Basilica Cistern again. I agree with you, it feels quite romantic there and very mysterious, too. Oh, and those rainbow stairs are really cool! Turkey is somewhere I hadn’t really thought about visiting. But recently I have got fascinated by the Turkish places and attractions. 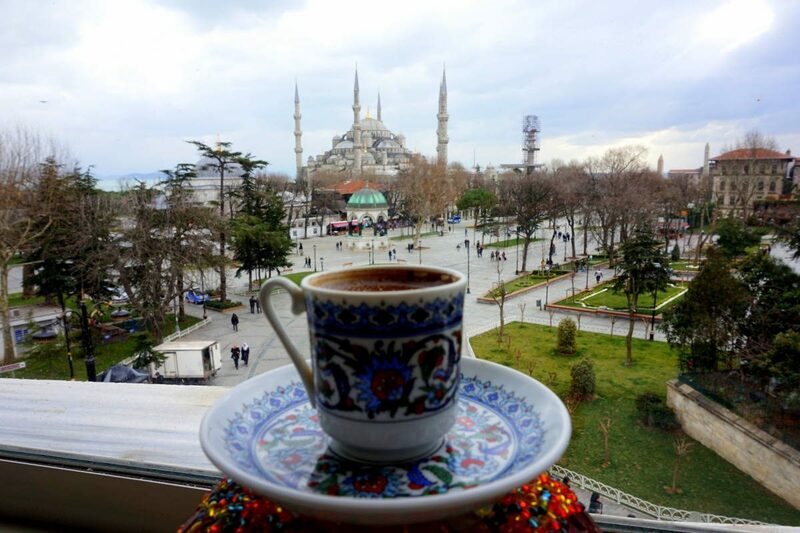 Thanks for sharing the very useful information for a traveler who visit Istanbul. This vacation probably i could make it possible to visit Blue Mosque, The Hagia Sophia. Was worried about flight fares, due to peak time i have chosen.